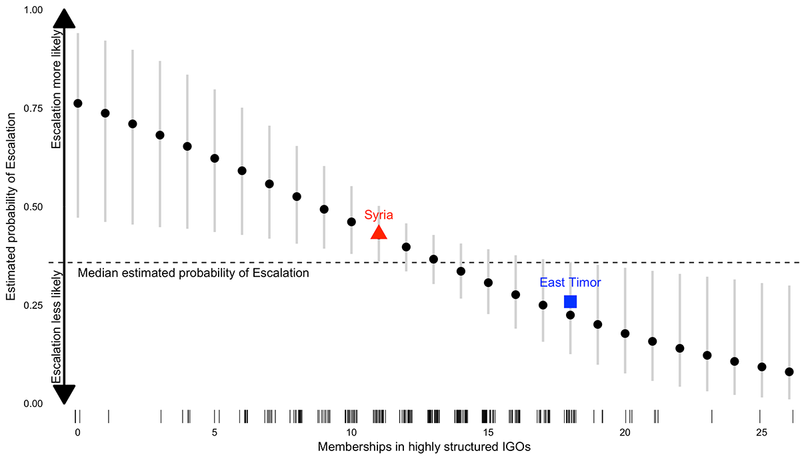 Memberships in highly structured IGOs: Decline in the estimated probability of the escalation of low-level armed conflicts across the range of state memberships in highly structured IGOs. Black dots show simulated pint estimates of the probability of escalation, and whiskers are 90 percent confidence intervals. The horizontal dashed line shows the median estimated probability of escalation across all cases. The black tick marks on the bottom indicate the membership counts of observed cases. Markers for East Timor and Syria refer to the model prediction for each case. Estimates are based on an analysis of 246 domestic armed conflicts between 1946 and 2000. 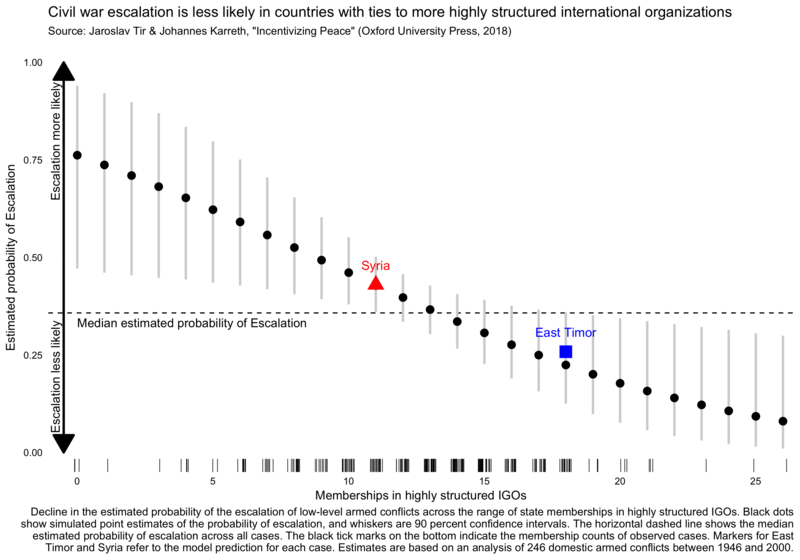 Representative of these broader trends, the history of East Timor illustrates how international organizations can successfully incentivize conflict parties to negotiate and resolve political disputes before they escalate. In Indonesia, a crisis originated when the East Timorese opposition demanded independence in the late 1990s. After an initially violent response by the Indonesian government, highly structured IGOs – most notably the International Monetary Fund (IMF) and World Bank – threatened and imposed sanctions on the regime. The regime responded by yielding to the pressure of calls for East Timor’s independence. In the end, both sides reached a settlement and avoided full-scale civil war. As promised, highly structured IGOs then resumed their activity in the respective countries. 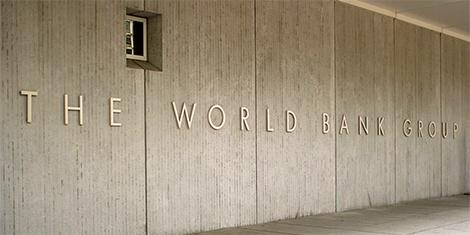 Both Indonesia and East Timor have since made notable economic improvements, partially helped by resources coming from the IMF and World Bank. Johannes Karreth is Assistant Professor of Politics and International Relations at Ursinus College. Jaroslav Tir is Professor of Political Science at the University of Colorado Boulder. They can, as long as they are of help to them.